Girl Scouts is celebrating the centennial of its Highest Award this year, and we’re super excited to feature some of its recipients! 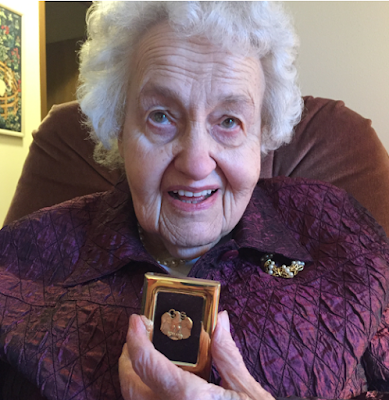 We sat down with Ruth Sternfels Gresham, a recipient of Girl Scouts Highest Award, who is also celebrating her centennial birthday in July. Ruth became a Girl Scout when she was 12-years-old and remains a proud Girl Scout today with Girl Scouts of the Northwestern Great Lakes. She’s been a teacher, mother, an avid volunteer, donor, and supporter of numerous organizations in addition to Girl Scouts, including the Salvation Army, her hometown elementary school, and local museums. Fun fact: Ruth, who has given back to her community for 87 years and has been recognized with several national awards for her volunteer work and civic duty, credits Girl Scouts with instilling in her “the volunteer spirit.” She jokingly reminded us that back in the day, she they didn’t refer to community service in tandem with volunteering, rather it was just “helping out”—a.k.a. living the Girl Scout way. 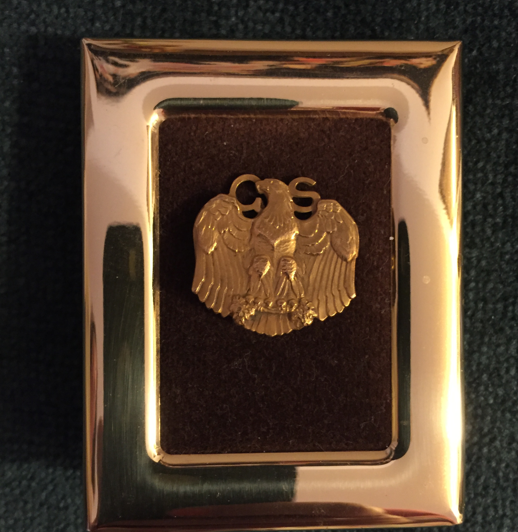 The Golden Eaglet insignia, the highest award in Girl Scouting from 1916 to 1939, marked the beginning of a long tradition of recognizing the extraordinary efforts of extraordinary girls. 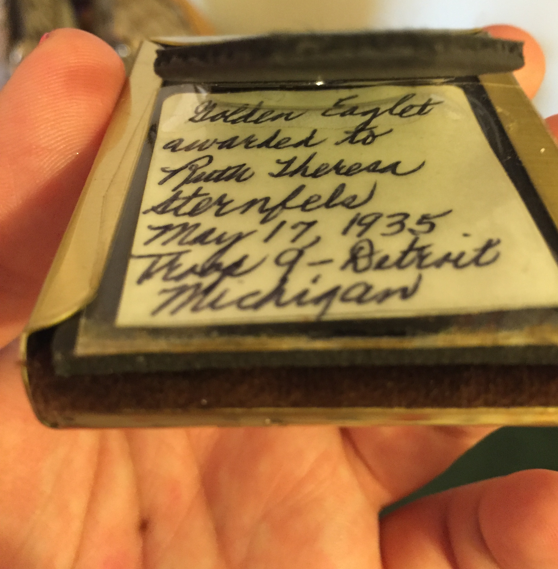 According to the Detroit Troop 9 annual report for 1935, (the year Ruth received the Golden Eaglet) “for our Thanksgiving project…we gave shoes and stockings and cookies to several children. The cookies were made by the Scouts who were taking the cooking badge.” Though some things have changed since Ruth was a young Girl Scout—for instance, she once sold cookies for 25 cents a dozen—the experiences she loved the most remain central to Girl Scouting today. Ruth has sweet memories of the times she spent camping, making new friends, and earning badges. Moreover, she still remembers some of the lessons she learned from her troop leader and says the outdoor badges she earned inspired her to become an accomplished gardener. As a young adult and mother (of Girl Scouts, of course! ), Ruth led several troops at her local church. By her count, she’s worked with approximately 500 Girl Scouts through the years. When asked to share a bit of advice for Girl Scouts today, Ruth, who like many of us calls Thin Mints her favorite Girl Scout Cookies, had this to say: “Stick to it! And yes, that means through high school. The skills you learn [in Girl Scouts] become second nature to you.” The very skills that help Girl Scouts make the world a better place. We think you’ll agree, Ruth is a shining example of what it means to be a Girl Scout. Since 1916, some of our country’s brightest and most compassionate girls have undertaken projects to improve their communities—and the world. Though the name of Girl Scouts’ Highest Award has changed through the years, every girl who earned her Golden Eagle of Merit, Golden Eaglet, First Class, Curved Bar, or Gold Award has demonstrated extraordinary leadership to make the world a better place!